Knife cutting machines are standard equipment in modern D&T departments. The ability to cut decorative designs in vinyl, iron-on vinyl, ceramic glaze, etc., is a must for adding a professional touch to all kinds of products. The ability to cut card has transformed the quality of innumerable packaging products. The Roland CAMM 1 range has always been the product of choice for schools, due to its exceptional value for money and durability. The GS-24E has an optical alignment system that integrates with 2D Design V2 to allow user-printed graphics to be automatically aligned and cut accurately. 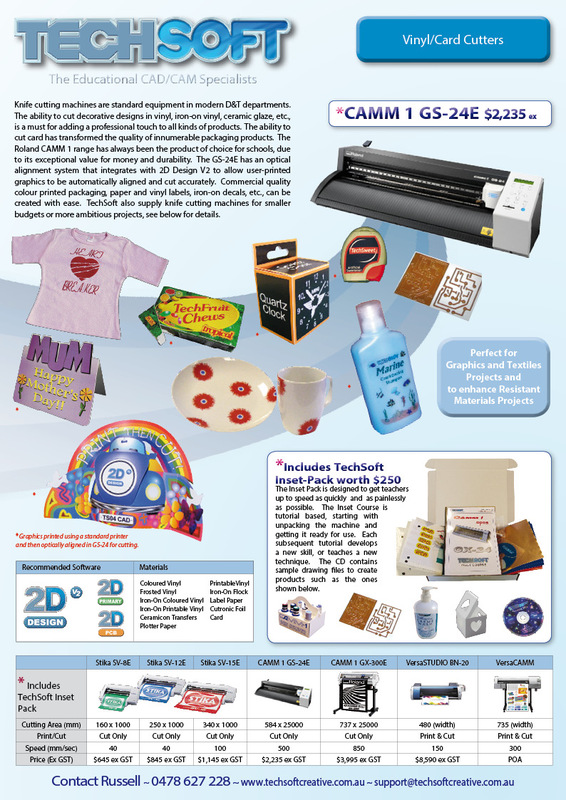 Commercial quality colour printed packaging, paper and vinyl labels, iron-on decals, etc., can be created with ease. 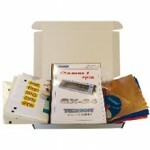 TechSoft also supply knife cutting machines for smaller budgets or more ambitious projects, see below for details. The Inset Pack is designed to get teachers up to speed as quickly and as painlessly as possible. The Inset Course is tutorial based, starting with unpacking the machine and getting it ready for use. Each subsequent tutorial develops a new skill, or teaches a new technique. The CD contains sample drawing files to create products such as the ones shown. The VersaSTUDIO BN-20 is what design departments have been waiting for! A neat desktop machine which delivers durable, high-quality print results then (for lighter media) cuts out the design in one seamless operation. 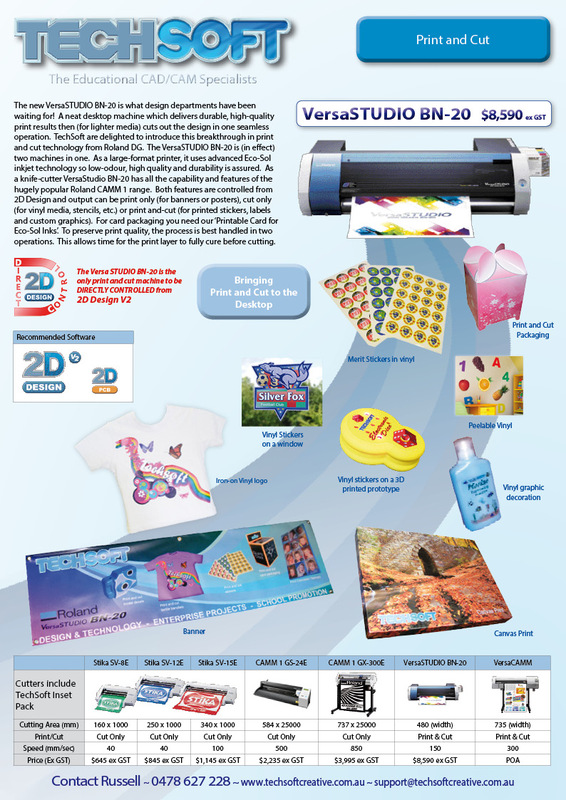 TechSoft are delighted to introduce this breakthrough in print and cut technology from Roland DG. The VersaSTUDIO BN-20 is (in effect) two machines in one. As a large-format printer, it uses advanced Eco-Sol inkjet technology so low-odour, high quality and durability is assured.